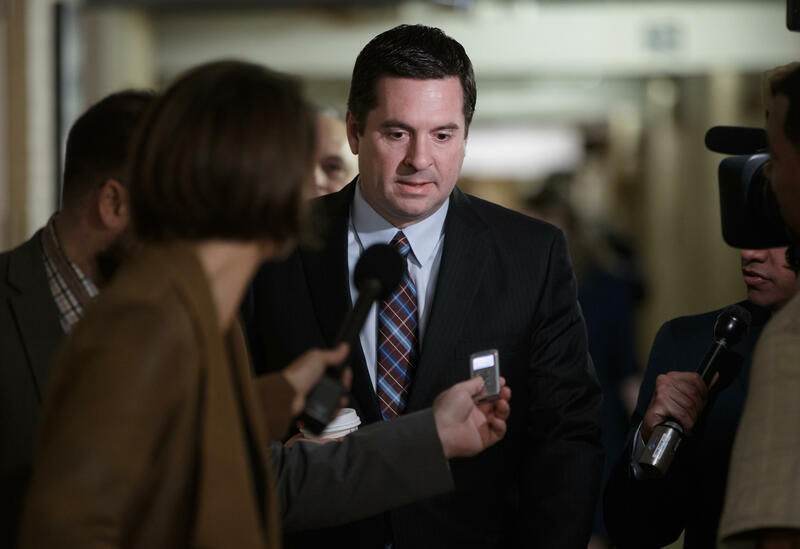 Two White House officials helped provide intelligence reports to House Intelligence Committee Chairman, Rep. Devin Nunes, R-Calif., according to New York Times report Thursday. The Times identified the officials as Ezra Cohen-Watnick, senior director for intelligence at the National Security Council and Michael Ellis, who works on national security issues at the White House Counsel’s office, and who used to be a House Intelligence Committee staffer. Thirty-year-old Cohen-Watnick has already been the subject of some controversy within the White House. He was, according to the Washington Post, brought in by former National Security Adviser Michael Flynn, and he was moved out of his job by Flynn’s successor, H.R. McMaster. After appealing to Steve Bannon and Jared Kushner, the Post reported, Cohen-Watnick was reinstated. The Washington Post is reporting that NSC Legal Adviser John Eisenberg was also involved in the plan to brief Nunes. A U.S. official tells CBS News’ Margaret Brennan that it makes complete sense that Eisenberg, the NSC’s top legal adviser, would have signed off on Ellis’ plan -- Ellis is Eisenberg’s deputy. Ellis is on the NSC, but he’s also part of White House Counsel’s office. In the current NSC structure, both Ellis and Eisenberg report to White House Counsel Don McGahn. Asked about the New York Times report at his daily briefing, White House Press Secretary Sean Spicer would only say that classified material would be reviewed by the relevant committee members. It’s not known whether the president has been briefed on the material -- Spicer said he would “look into” it. Last week, Nunes had told reporters at the Capitol that the classified intelligence reports he had seen -- on White House grounds, at the Eisenhower Executive Office Building -- showed that the Obama administration had, in the course of its “incidental collection,” intercepted communications involving Trump associates, and perhaps Mr. Trump himself, during the transition. After speaking with reporters, Nunes went to the White House to brief the president about the intercepts, which he said were of little or no foreign intelligence value and were not related to Russia, but which had allegedly inappropriately “unmasked” some on the Trump team. This struck reporters as odd -- that Nunes would go to be briefed at the office building that houses most of the White House staff, and then return to the White House to brief the president on the material he had seen at the White House complex. At the time, it also seemed to strike Spicer as odd. “I don’t know why he would brief the speaker and then come down here to brief us on something that we would have briefed him on,” Spicer said last week. “It doesn’t really seem to make a ton of sense....it doesn’t really pass the smell test.” But if the Times report is correct, that is what happened. Regarding how Devin Nunes get onto White House grounds, Spicer said he still does not know. He didn’t say he’d never answer the question, but the suggestion was there. He would only answer reporters’ queries by saying that a decision had been made internally to invite the committees of what the intelligence community had found.